Fiberglass laminate construction. No stern deck. 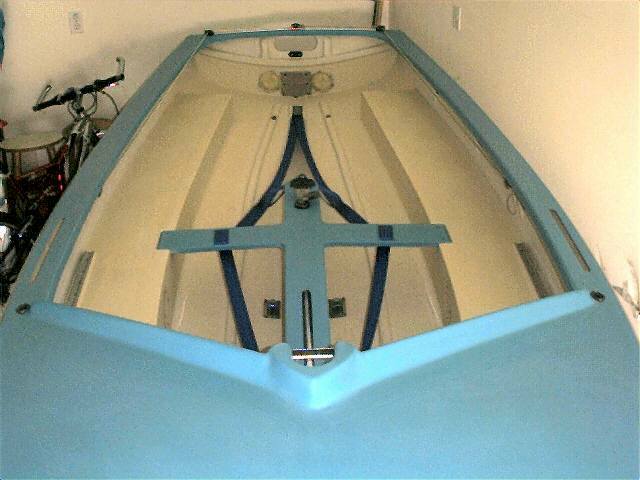 High crowned transom with sliding track traveller on top. Fitted with non-tapered masts. 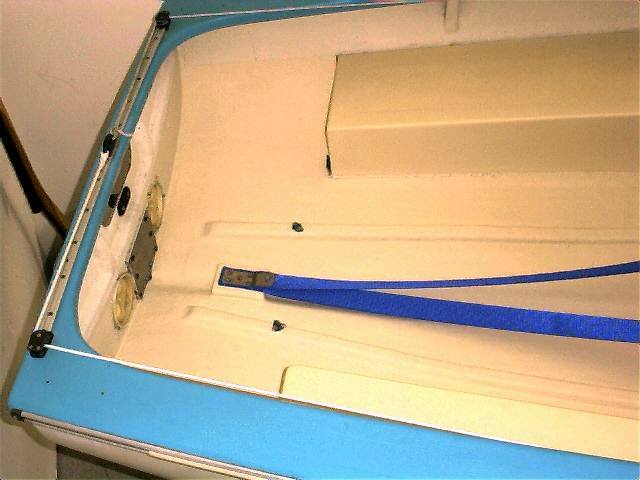 Full width centerboard trunk (1" wide). 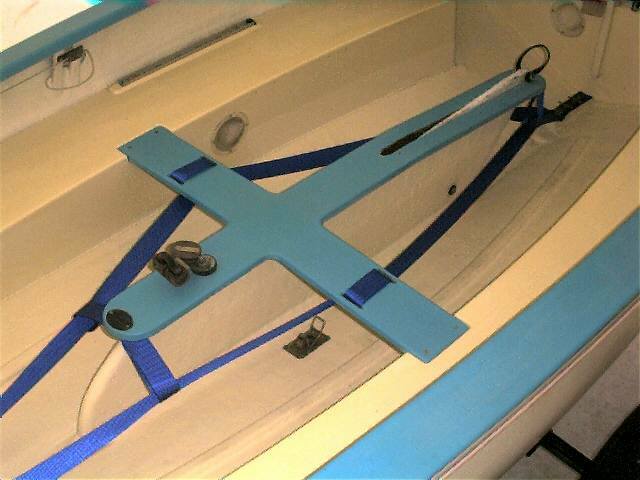 Some boats have slotted side decks with shelf below for jib fairlead track and cleats. Centerboards were built from composite layup of 1 x 1" strips of spruce (light) and mahogany (dark). Rudders the same. Most rudders kick-up, with swept back, trapezoidal profile in Tufnol head.